Cooling Drum has a hard chrome plated surface. Cooled water passing through its Rotary joint to cools the hard chrome plated surface area of the Roll. 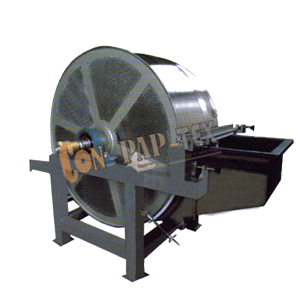 Cooling Roll cools the contact area that touches the web materials or rubber rolls. Bigger shaft diameter is recommended to avoid breakage of end shafts as end shaft having inside the hole. This is made of high-quality material which ensures its durability and resistance to corrosion.